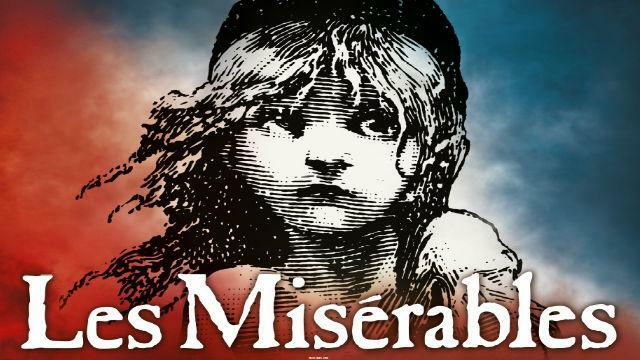 It has been a while since I'd last seen Les Miserables in the West End, but every now and then a show’s casting proves so irresistible that it cries out to be seen again. Firstly, there is the wonderful Carrie Hope-Fletcher's take on Eponine. Having seen Carrie perform at a couple of concert events I had long hankered after catching her acclaimed interpretation first hand. And then there’s Rachelle Ann Go’s Fantine. 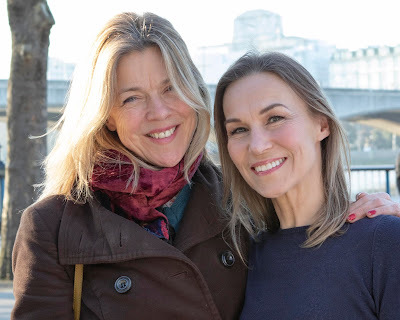 I’d adored her Movie In My Mind in Miss Saigon, but on hearing Rachelle sing I Dreamed A Dream at Hugh Maynard’s Hippodrome gig a few months ago, she simply set spines tingling. However, both of those yearnings were eclipsed by the announcement, earlier this year, that Phil Daniels was to play musical theatre’s ultimate scum-meister, taking over as M. Thenardier. Virtually a national treasure, Daniels etched himself into the nation’s psyche in the 70s and 80s. Along with a youthful Ray Winstone he offered a brutal perspective on British borstal life in Alan Clarke’s controversial movie, Scum – if you haven’t seen that picture, download it and find out why Winstone has been known forever since as The Daddy. And from then on, including The Who's iconic Quadrophenia and later film and stage performances, Daniels’ work has been nothing sort of exceptional. Les Miserables has long impressed me, not just for having such a stirring libretto, but also for the cheekily economic creativity of Alain Boublil and Claude-Michel Schoenberg that was able to hang quite so many different songs on just a handful of (oft repeated) melodies! Herbert Kretzmer deserves handsome credit for the lyrics. Kretzmer has compressed Victor Hugo's panoramic vision of 19th century France into 3 hours of sung-through genius, with a wit and nuance perfectly tailored to the modern idiom. On the night of this review Adam Bayjou was standing in for Peter Lockyer as the eponymous ex-con Jean Valjean. Youthful but nonetheless assured, Bayjou mastered the gravitas of driving the show, stirring and inspirational as needed and touching souls with an exquisite Bring Him Home. Hunting him across the years is Jeremy Secomb's Javert. Secomb, with the full built frame of a cop, pound for pound probably outweighs the more diminutive Bayjou whose lifting of both cart and carcass through the show as required defies probability. Secomb though brings just the right amount of dour, booted, gravitas to the lugubrious lawman including a thrilling delivery of Stars. And as Javert grapples with Valjean's divine mercy that he simply cannot comprehend, this talented actor displays a truly tortured soul. There can never be a great deal to write about Fantine, perhaps one of theatre's most underwritten leading ladies, but Rachelle Ann Go carries the pride of the Philippines with her as she re-defines the role, making I Dreamed A Dream truly her own. Carrie Hope-Fletcher's Eponine must surely have proved an inspired casting over the last couple of years. She embodies her character's sincerity with beauty, coquettish charm and a voice of amazingly youthful power. And as her coat falls open to reveal that bloodstained blouse, even seeing the show for the umpteenth time one can't hold back the tears. For Hope-Fletcher her Les Mis time is running out and one looks forward to see how her talents will next be deployed. Perhaps the toughest roles in the show are those of Cosette and Marius - their love is sincere, but where Eponine is endowed with a tragically romantic death, these youngsters see their finale wedding overshadowed first by the Thenardiers' thievery and then Valjean's demise. Tough gigs indeed, but Zoe Doano, as ever, defines enchanting as she falls for her handsome student, filling the role with a passionate credibility and a celestial voice. And if Rob Houchen's Marius is a slightly understated gem, at least it’s well polished. And then there's Katie Secombe and Phil Daniels as the ghastly Thenardiers. The pair's timing, acting and song are a masterclass in bitter-sweet grotesque. Blessed with comedy in her genes Secombe's Mme T is every inch a Lady Macbeth of her time, keeping her performance just the right side of pantomime. Daniels simply lives up to expectations. With his park life voice that’s been dredged from somewhere east of Tilbury, Daniels defines the red-nosed brigand perfectly. It will take some double act to match this monstrous couple. Above all, the credit for Les Mis' continued excellence has to lie with its producer. Cameron Mackintosh may have elevated this particular show to the level of a global franchise - but he's never sacrificed a moment of its quality, Amidst John Napier’s ever revolving designs, the show’s details remain finely honed. And whether it is (simply by way of example) Adam Pearce's immaculate multi-role ensemble work, or Alex Parker's pinpoint musical direction, Les Miserables remains an example of world class excellence.